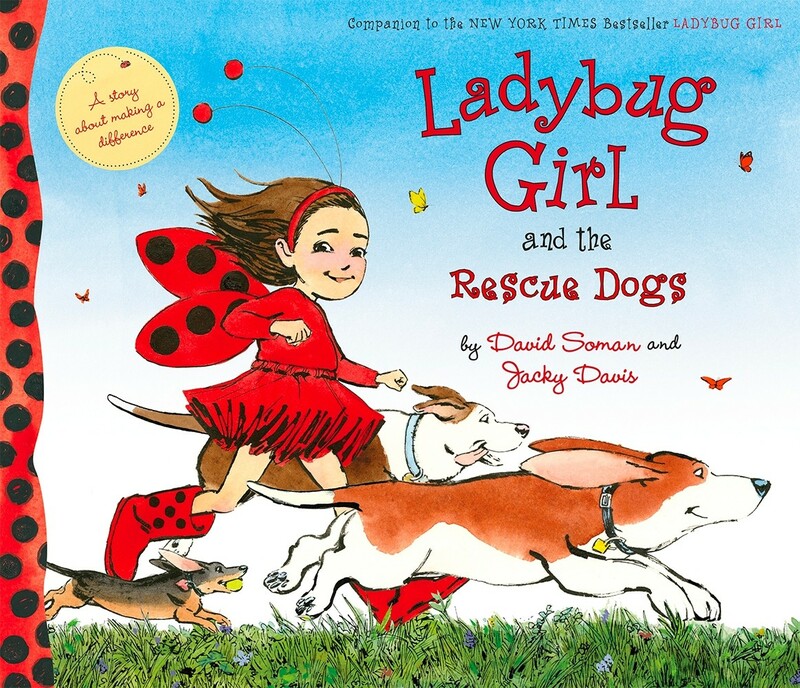 A Mighty Girl's top picks of books about girls and their beloved canine companions! A loyal companion, a good listener, a helper when needed... a dog can be the most faithful companion that a girl ever has! 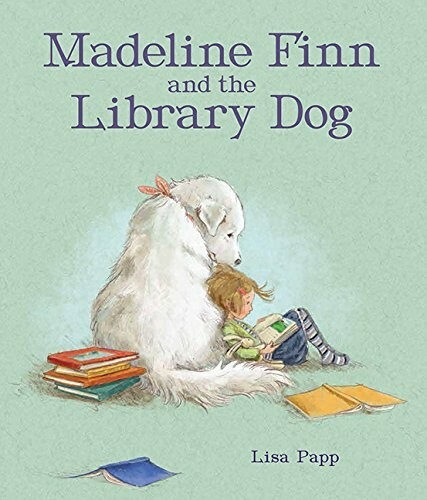 And whether the dog your Mighty Girl loves is a family pet, a library reading buddy, or a neighborhood friend, she'll love reading stories that show her just how special that relationship is. 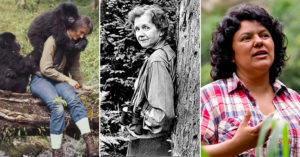 In honor of these beloved companions, we're sharing our favorite stories about Mighty Girls and their canine companions. 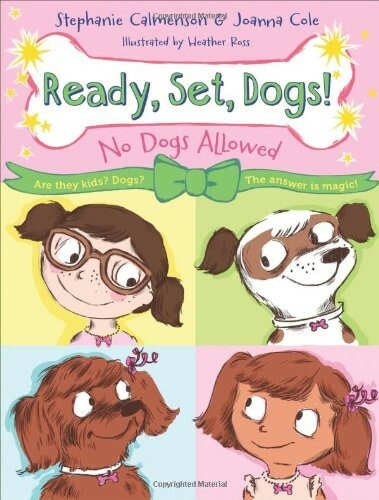 These books celebrate all the love that a dog can give to their girl, as well as the power of that connection to push girls and women to do more than they'd ever thought themselves capable of. At the same time, they provide a reminder that your relationship with a pet is a two-way street, and that taking responsibility for a dog means putting in the work necessary to care for your devoted pal! Whether dogs have been a part of her life for years, or she's just discovering how special they can be, there's a book here that she'll love. The irrepressible little girl from Please, Baby, Please is back, a little older and with a new responsibility — a puppy! But as anyone who’s added a young puppy to their family knows, an undisciplined pup is hard to manage for an adult, let alone a pair of preschoolers. Adults will smile and young readers will laugh at this very loving and true-to-life depiction of the excitement and challenges of caring for an exuberant puppy. Lulu is excited to meet all the rescue dogs when the pet-adoption fair comes to her local farmers' market. She wants to take all of them home — but she already has Bingo, and Mama says one dog is enough for their family. That doesn't mean Lulu can't help, though. It's time for Ladybug Girl and the Bug Squad — her friends Grasshopper Girl and Bumblebee Boy — to step in! And when Lulu comes up with the perfect plan to help the dogs find their forever homes, her idea is such a success that the Bug Squad knows they'll be back again next week. Together, they can help every dog get adopted. 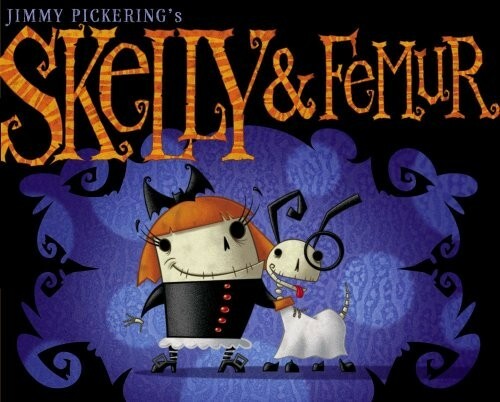 Skelly and her ghost dog Femur are back in this adventure that has them investigating the mysterious disappearances of objects around around Skelly manor. One at a time, Skelly's buttons, Femur's bones, and even spoons, dishes, an umbrella, and a rusty anchor all go missing. Then, Skelly and Femur hear strange noises in the attic. Fortunately, together, they feel courageous enough to peek... and not only solve the mystery, but also make a new, inventive friend! Cheerfully macabre illustrations and a just-spooky-enough story provide a humorous reminder that a girl and her dog are close as can be, even when they're both nothing but bones. Madame Martine lives in Paris, a city full of things to explore and do, but she sticks to her daily routine and never deviates. She hasn't even seen the Eiffel Tower — "just for tourists," she sniffs. 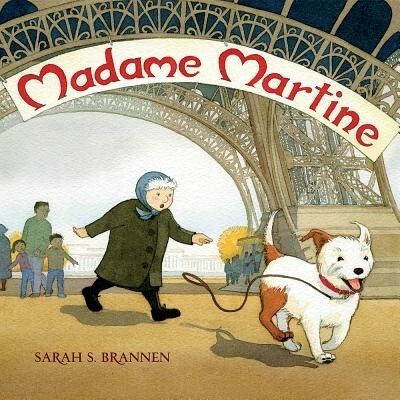 But when Madame Martine takes in a stray dog, her schedule is in for some changes! The puppy isn't content to follow along, and leads her on a wild chase — which ends at the top of the tower, with Madame Martine realizing how much beauty surrounds her. Before long, the new friends have a new routine: trying something different every week. This funny story about how pets can enrich (and shake up!) your life is sure to be a favorite. Biscuit has been growing and growing, so it's time for him to get a check-up from the veterinarian! In the waiting room, Biscuit meets all sorts of other animals. When it's his turn, Biscuit gets weighed, measured, and checked so he can be given a clean bill of health, plus vaccines to help him stay healthy. Fortunately, with his loving friend by his side, a visit to the vet isn't so bad! 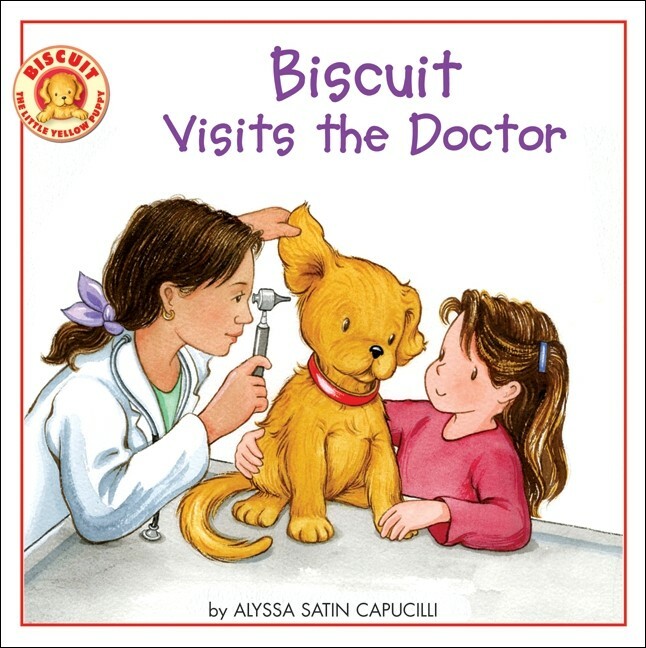 This cheerful and charming book is a great first introduction to what your Mighty Girl's pup does at a vet visit... and might inspire a future career as a veterinarian! When a huge black dog appears outside the Hope family’s house, they’re all terrified... except for Small, the youngest, who chases the rapidly shrinking dog throughout the whole neighborhood. By the time they get back to the house, Small’s courage has shrunk the dog enough that it fits through the cat door, and the Hopes agree that he doesn’t seem so scary after all — and invite him into the family. 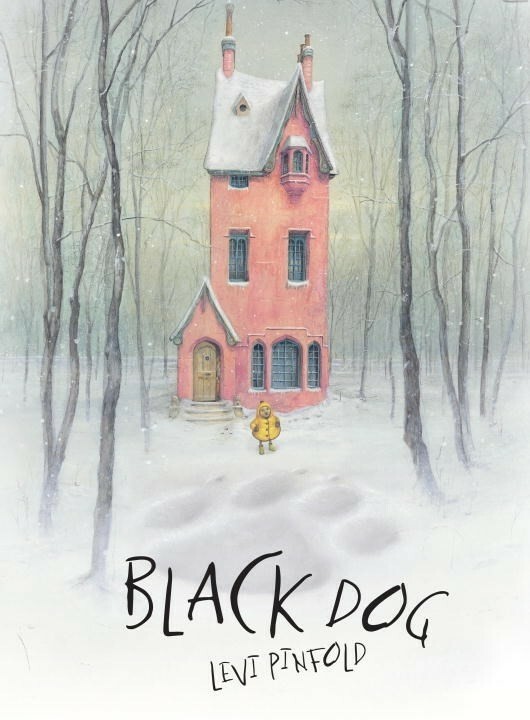 This charming metaphorical story uses the story of a family taking in a dog who's not "as huge nor as scary as they feared" to teach kids the power of facing their fears, but dog fans will particularly enjoy watching Small and the black dog enjoy their game of chase! This little girl's family has just brought home a new dog — and they have a lot to learn! As she describes how the family gets Sophie the pup settled in their new home, readers will learn about everything a dog needs, from a warm bed to good long walks, from the fun (treats!) to the important work of training. A list of tips at the end include useful information about how to tell a dog's mood from its posture. 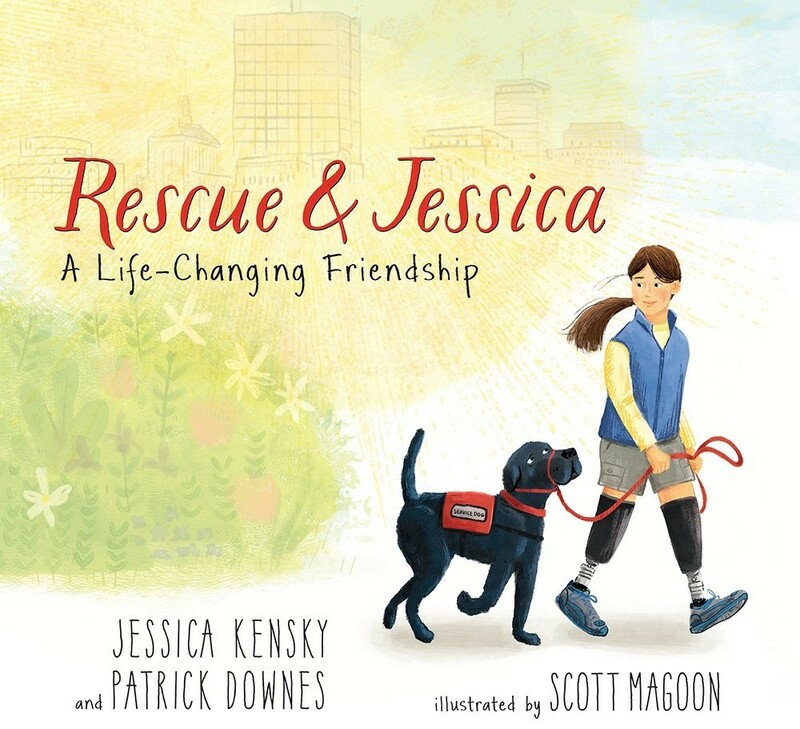 For dog-loving kids eager to add a new friend to the family, this book provides everything they need to know in an encouraging and realistic way. Madeline really does not like to read — but she really wants a gold star from her teacher, and gold stars are only for kids who can read the words out loud. Then Madeline meets Bonnie, a library dog, who's patient and quiet and never minds if Madeline needs a few minutes to figure out a word. With Bonnie's help, Madeline realizes that she doesn't like reading because she finds it hard, and that with a supportive friend who gives her the space to go slow, she can develop both her reading skills and her love of the written word. It's a lovely reminder of the many ways that pets can help support us. Fans of this book will enjoy the companion, Madeline Finn and the Shelter Dog. "Sometimes I live with my mom. Sometimes I live with my dad. My dog, Fred, stays with me." As this little girl adjusts to her parents' divorce, one thing is constant: her beloved dog. But while Fred provides her with plenty of affection, he can also cause problems at both houses: barking at neighboring pets, getting mud in the car, and even eating a pair of Dad's socks! 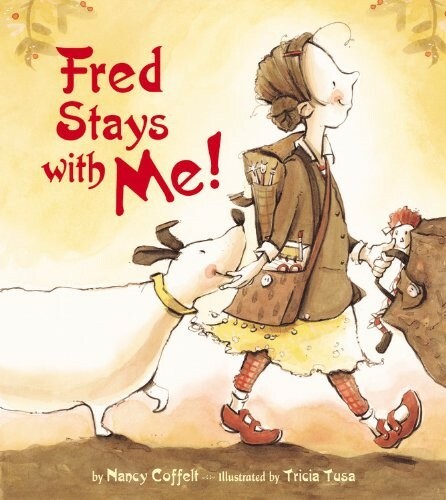 And while her parents may be frustrated, when she insists that Fred has to stay, they know that the bond she has with Fred is worth figuring out solutions. In addition to celebrating the power of a pet's love, this book is a helpful way to talk with kids about co-parenting and separate family homes. 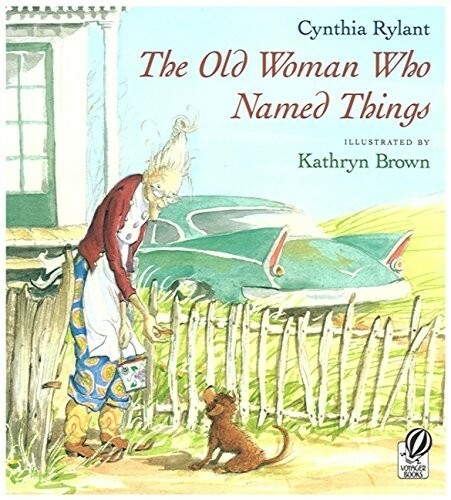 The old woman in this story has outlived all of her friends, so to help herself feel less lonely, she names inanimate objects — but only the things that she knows will outlive her. Then a stray puppy makes his way into her life. She feeds the stray, but still refuses to name him. 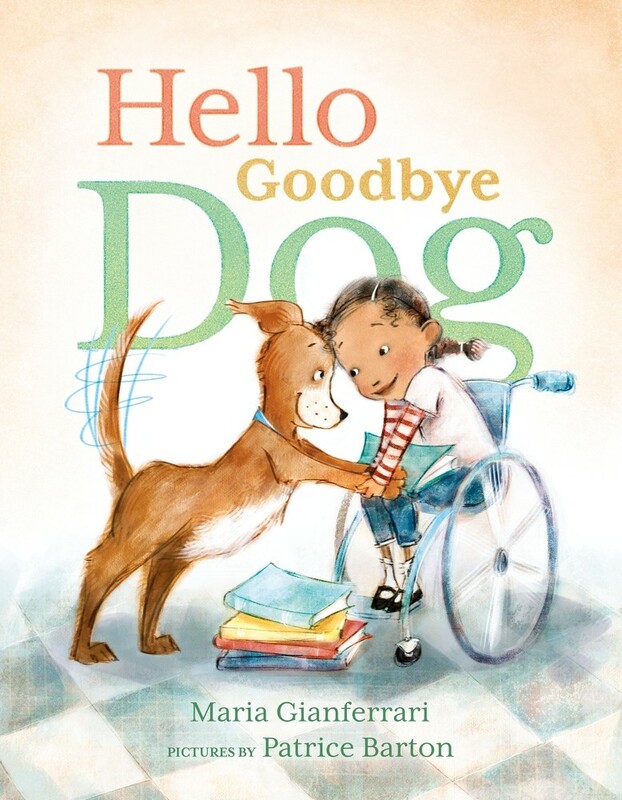 When the dog she still won’t acknowledge as hers doesn’t show up one day, she has a choice to make: let this new friendship disappear, or welcome a loving creature into her life and finally give him a name. This touching story captures the value of animal friendship in all stages of life. 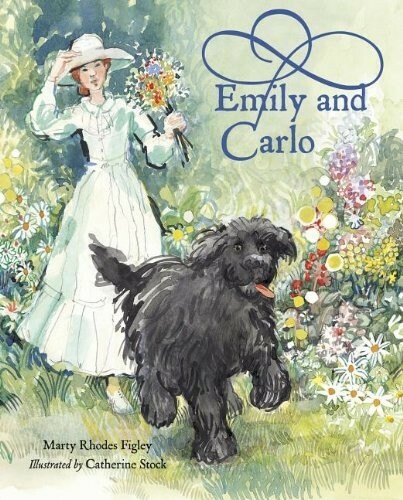 When Emily Dickinson was given a puppy by her father, she named him Carlo after a dog in one of her favorite stories. Carlo turned out to be an enormous and energetic beast whose antics delighted Emily, and together, the pair went on many adventures. With Carlo, Emily felt confident enough to explore the wilderness near her home, and he provided an excellent sounding board for her writing. In fact, with Carlo, Emily had all the companionship that she needed. This lyrical look at the special relationship between Emily and Carlo is a reminder of how much emotional support a loving pet can provide. Billie Holiday's life was big and bold: she had a powerful voice, gardenias in her hair, and country-wide fame as Lady Day, one of the great performers of her time. She also had lots of dogs: a coat-pocket poodle, a beagle, Chihuahuas, a Great Dane, and more. But her favorite was Mister, a boxer who bolstered her courage when she needed it — like before her big performance at Carnegie Hall. 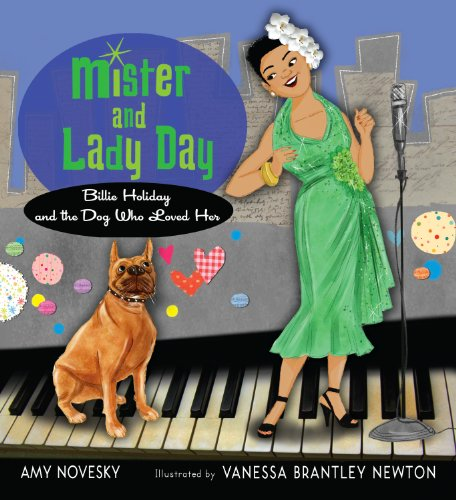 This charming story tells the story of Holiday's bond with Mister, accented with stylish and colorful illustrations. An author's note includes more details about Holiday's troubled life, as well as a photograph of Holiday with the real-life Mister. Lucy is a small dog without a home, but who remembers what it was like to be loved and safe in her dreams. 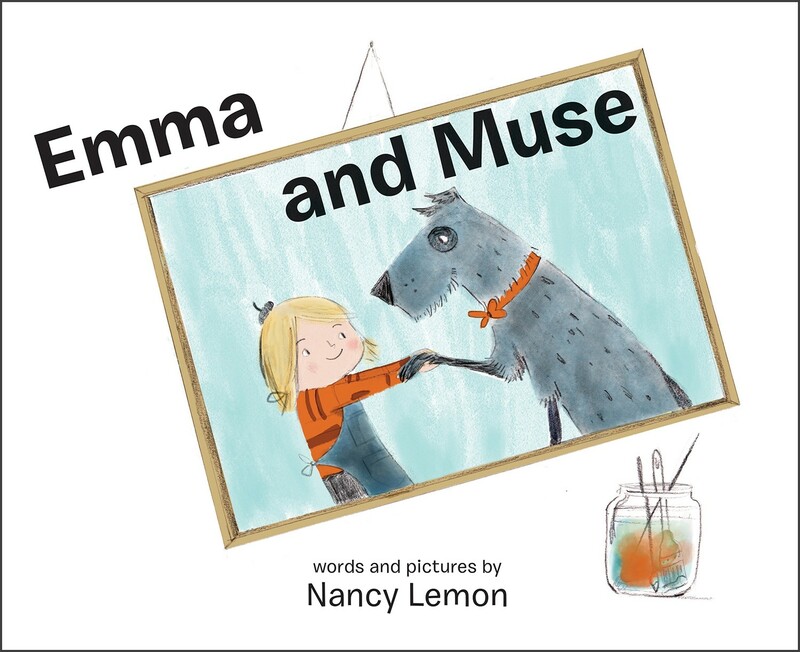 Eleanor is a compassionate little girl who feeds the stray dog she sees outside her window, and whose father is a juggler struggling with stage fright. When their three stories come together, a new chapter will start for all of them! Told in four acts with monochromatic artwork, the first three sections are each from a single character's perspective, each revealing a little more before a finale that will make young readers cheer. There's been a break-in on Orange Street, where Hilde Lysiak, 9-year-old reporter, lives: first some cupcakes are stolen, then a pie follows suit. Never one to back down from a challenge — or a story — Hilde sets out to crack the case. She'll interview witnesses and look for clues... and along the way, she'll get a hand from a tiny, scruffy-haired dog named Zeus, whose clever nose helps her sniff out key details. 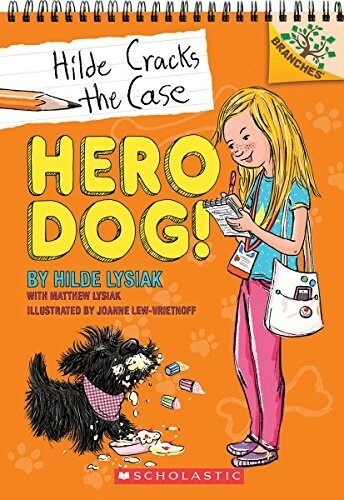 Kids will love reading about Hilde and Zeus' adventure, especially when they realize that Hilde is a real-life girl journalist and detective! Fans of Hilde can check out the second book, Bear on the Loose!. 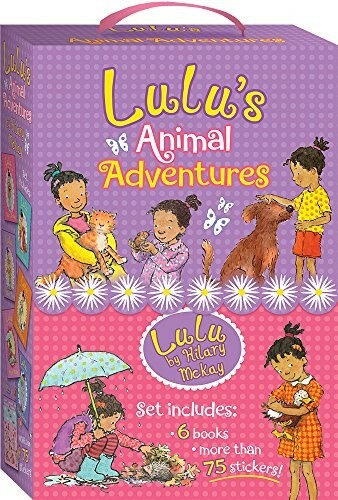 Lulu adores animals — all animals — and in this box set, early readers can enjoy watching her help all sorts of animals find good homes! 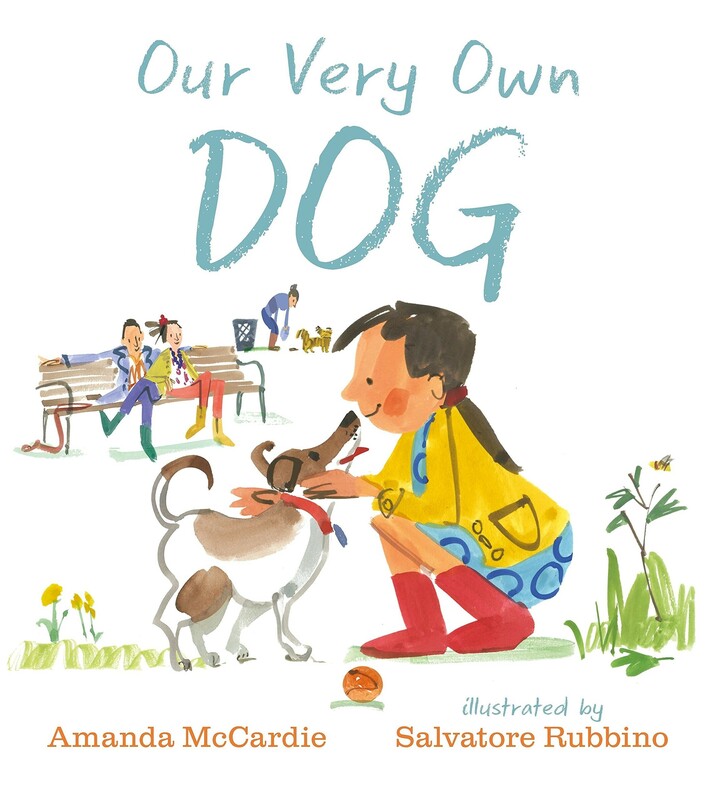 But that doesn't mean that it's always easy, as readers see when Lulu's beloved dog Sam follows her to school and causes all sorts of trouble, or when she has to work hard to develop trust from a stray dog on the beach that she's sure will make an excellent pet. Fortunately, her parents are happy to encourage Lulu's compassion for animals in need. 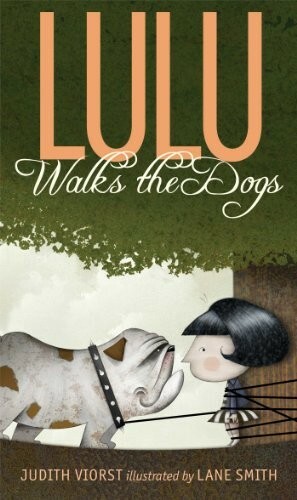 Kids can vicariously enjoy keeping all kinds of pets with this series — and still get a reminder that caring for a pet is lots of work — but they'll particularly enjoy Lulu's relationship with the loyal Sam. 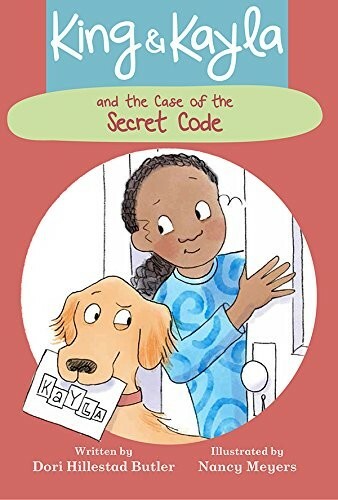 In this fun early chapter mystery story, King the dog helps his best friend Kayla solve a mysterious pair of coded letters! Kayla and Mason have both received letters. What Kayla knows is that the same person sent both of them — someone both she and Mason know — and that the two letters are the same except for the second word. What King knows is that Jillian is the one who left the letters. Can Kayla and King figure out what the letters say using these clues? Fans of this title can also get the second volume, King & Kayla and the Case of the Missing Dog Treats. Stubborn Lulu from Lulu and the Brontosaurus is back, this time looking to make a little extra cash by walking the neighborhood dogs. But Brutus, Cordelia, and Pookie don’t make the walk a very easy one! Lulu’s do-gooding neighbor Fleischman offers some help, which she reluctantly accepts — but can two totally opposite personalities, and three not-very-cooperative dogs, ever work together? With a sarcastic, witty tone, Viorst’s story captures how animals, even undisciplined ones, can bring people together. Kate and Lucie are best friends who sometimes feel that they don't have much in common — except that they both adore dogs. But in their apartments, dogs aren't allowed, and dog T-shirts, sheets, pajamas, and books aren't nearly as good as having a real dog. Then one day, a pair of sparkly pink dog necklaces from the thrift store transform the girls into dogs themselves! And once they've figured out how to switch back and forth, the girls realize this is the perfect opportunity for some real fun... and even to promote Adopt-A-Dog week so they can help the dogs they love find homes. Dog-loving girls who can't have their own will love watching Kate and Lucie explore a dog's life. Fans of the series can check out the next volume, Teacher's Pets. 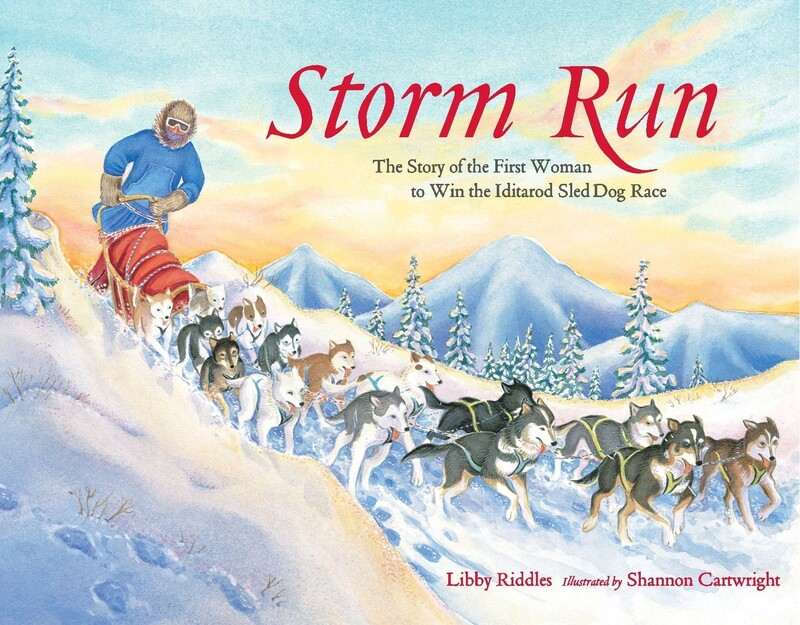 When Libby Riddles got interested in mushing sled dogs, she set her sights on the most famous dog sled race in the world: the Iditarod, 1,100 miles through Alaska's toughest terrain. But no woman had ever run the Iditarod, so she knew if she wanted to be the first, she'd have to train hard — and develop a close relationship with her sled dogs, who had to listen to her and trust her no matter what they faced on the trail. And with their help, through storms, freezing temperatures, and long days of running, she achieved her dream. Riddles tells her own story with exciting detail, and throughout she reminds readers that her win was just as much due to her loyal and determined dogs as it was to her own efforts. Ivy the girl and Scout the Korgi travel to Korgi Hollow, a world full of fairies, spiders, dinosaurs, and even a giant troll. The Mollies, little woodfolk, rely on the Korgis for protection from all of the dangers in their world. When Ivy and Scout find the Mollies’ gathering, there’s sure to be adventure ahead! 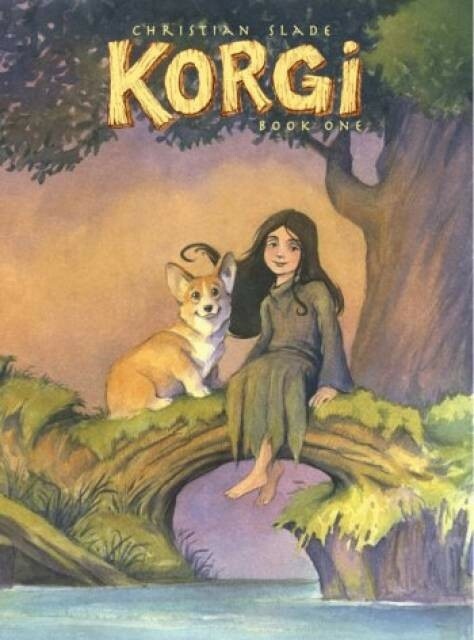 A true graphic novel, with no text other than the brief introduction to the setting at the beginning, your Mighty Girl will love telling this story over and over... and maybe, if she has her own canine friend, a little of their special relationship will sneak into this woodland fantasy. 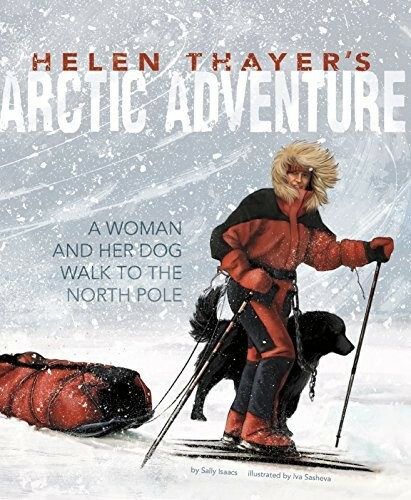 Helen Thayer wanted an adventure — and traveling on foot to the magnetic North Pole certainly fit the bill! To do it, she knew she'd face all sorts of dangers, from freezing weather to polar bears, so she thought she'd better bring a companion. Charlie became her guard dog and an extra set of eyes and ears that could warn her if it was too dangerous to travel that day. This book follows Thayer's planning, training, and finally, her long trek to reach her goal. Young readers will love following her and Charlie on their remarkable travels! For two more books about Mighty Girl dogs in the Arctic, check out Big-Enough Anna: The Little Sled Dog Who Braved The Arctic for ages 4 to 8 and Akiak: A Tale From the Iditarod. Tuesday's mother, Serendipity, is a famous author — and now she's missing. So Tuesday and her dog Baxterr set out to find her, and discover the mysterious, unpredictable place that stories come from. 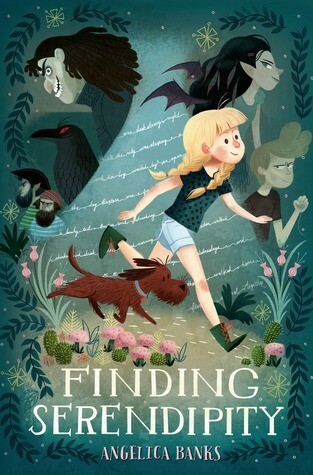 In order to rescue her mother — and get to The End — Tuesday will have to make new friends, learn to sail a magical boat, defeat a dangerous pirate, learn the truth about her definitely-not-ordinary dog, and get in touch with her creative side to find the power in storytelling. 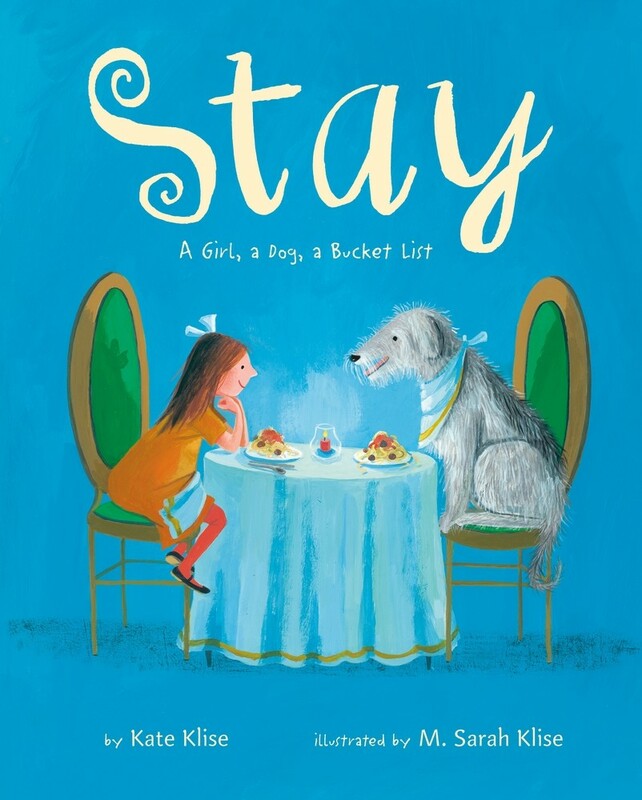 This magical adventure plays with narrative structure and the creative process to celebrate the power of finding your own voice, and along the way celebrates the loyalty of a loving dog (even if your Mighty Girl's dog isn't quite as unique as Baxterr.) Tuesday and Baxterr return in the sequel, A Week Without Tuesday. Momo has dreamed of having a Lhasa terrier, just like the ones that the Tibetan Buddhist priests hold sacred, as long as she can remember. So when her parents get Pempa from a passing trader, it's a dream come true! Pempa, she's told, comes with a prophecy: he will bring adventure and fortune to his family. When robbers steal the valuable dog, Momo is heartbroken and furious. She decides to follow the Great Trade Route across the mountains so that she can get Pempa back. The journey is long and dangerous, but Momo is determined... and her determination may just bring the adventure and fortune she was promised. This Newbery Honor book celebrates faith, perseverance, and the fierce love a Mighty Girl has for her dog. 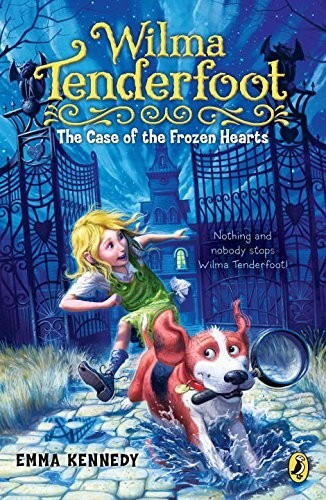 Wilma Tenderfoot isn't driven to become a detective by fame and fortune; she just wants to figure out who her parents are. So when she discovers that her new neighbor is a renowned detective, she's determined to become his assistant — along with her loyal and sometimes overexuberant dog, Pickle. But having an unskilled 10-year-old and her evidence-eating dog around isn't exactly conducive to solving a mystery. Can Wilma prove her mettle and discover the perpetrator fast enough to impress the daring detective, and before Pickle eats all the clues? 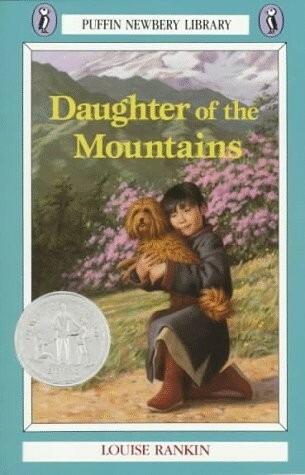 Kids will laugh out loud at this wacky and adventurous story starring a girl and her goofy but lovable dog! Rose Howard's Asperger's syndrome manifests in a love of homonyms and anxiety about changes to routine. 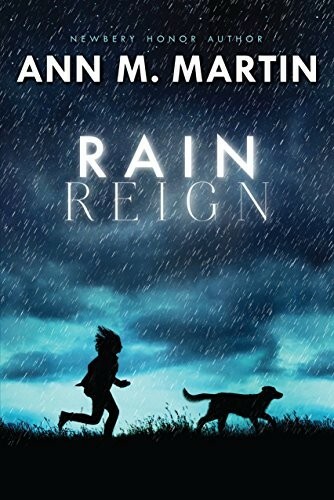 When her struggling single father brings home a dog, though, it's a change Rose adores, and she quickly chooses the name Rain — which, since it has two homonyms (reign, rein) is one of the most special names of all. But when Rain goes missing in a storm, Rose has to break all of her familiar patterns to find her beloved pet...and when she learns that Rain may already have a home, Rose will face a very difficult decision. This heartfelt novel about justice, courage, and love is sure to touch your Mighty Girl's heart. Opal comes home from her local Winn-Dixie supermarket with something entirely unexpected — a stray dog! Soon she and the dog are best friends, and she’s named him after the place where they met. 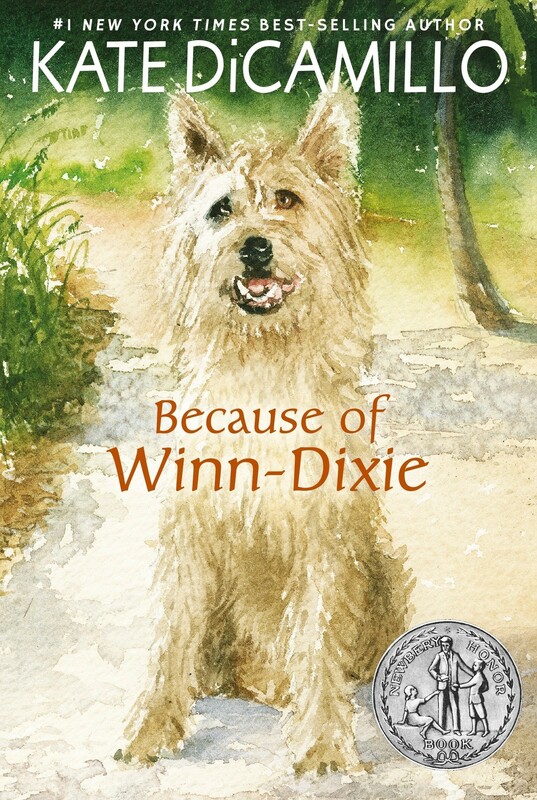 Winn-Dixie’s goofy, warm attitude become the conversation starter Opal needs to meet a wide variety of unexpected characters in her new town... and even prompts her sad, introverted father to open up about why Opal’s mother left the family. 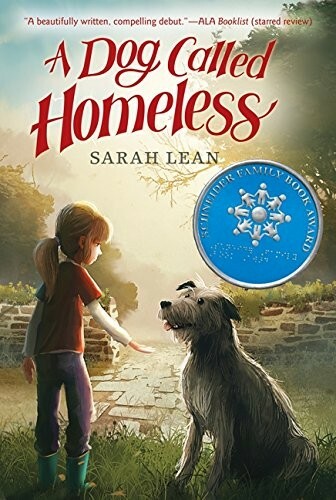 This Newbery Honor book, which was also adapted into a live-action film, is a lovely story of friendship, acceptance, and love. 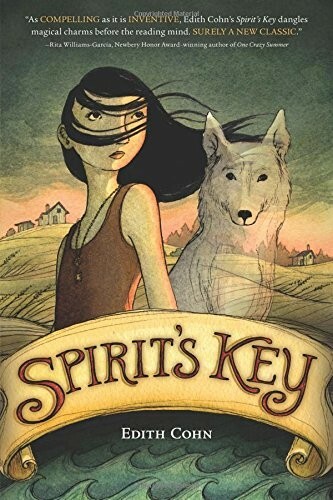 12-year-old Spirit doesn’t seem to have inherited the family talent for seeing the future — or maybe she’s just blinded by grief after the mysterious death of Sky, her beloved dog. Soon, people start getting sick as well, and start blaming the wild dogs, who are often considered vessels for dangerous spirits. Spirit, however, refuses to believe it. When Sky’s ghost appears, Spirit realizes she will be the key to finding the truth behind the mysterious illness... before it’s too late. 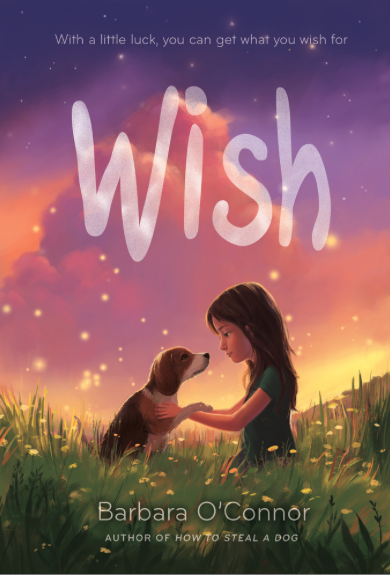 This heartfelt fantasy novel adds a touch of magic to the story of the special connection between a girl and her dog. Cally Fisher has learned that "Talking doesn't always make things happen, however much you want it to." It can't bring her mother back to life, or stop her father from selling their home, so she's been silent for a month — and since no one seems to listen to her anyway, not talking is almost a relief. Cally's biggest fear is losing all memory of her mother, but when she appears to Cally one day — and a scraggly stray wolfhound sees her too — nobody believes her. 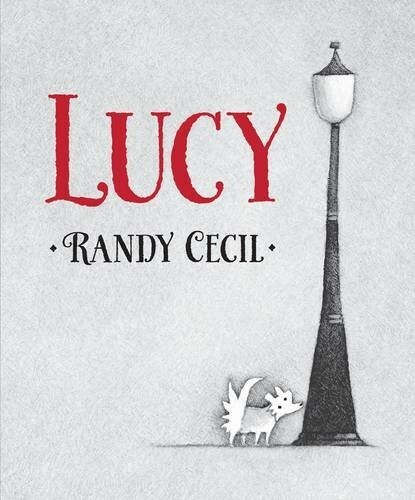 As Cally develops new friendships with people who listen, though, she becomes convinced that the dog is a special connection to her mother... and that, somehow, she has to convince her father that Homeless belongs with them. This gentle, touching story celebrates the comfort that Homeless brings to Cally as she works her way through grief. For years, 11-year-old Charlie Reese has collected ways to make wishes, from blowing off an eyelash to eating the pointed tip of a slice of pie last. She wishes for luck, to fit in, and for her mother to get off the couch and care for her so she doesn't have to go live with an aunt and uncle she doesn't even know. But while living with Aunt Bertha and Uncle Gus, Charlie stumbles across a stray dog she names Wishbone and a neighbor boy named Howard, both of whom threaten to break through her tough exterior. And when Wishbone goes missing, Charlie might find that there's a difference between what you wish for and what you actually want. This complex story about the true meaning of family will resonate with readers long after they're done. In the midst of a southern African drought, Sarel's family is murdered by thugs, leaving her alone with nobody but her family's Rhodesian ridgeback dogs to protect her. But Nandi, the leader of those dogs, refuses to leave the family's homestead as the well starts to run dry. She knows that help is coming in the form of a boy named Musa with a talent for using dowsing sticks to find water in the driest desert, who has escaped his captors and is determined to stay free. Together, Sarel, Musa, and Nandi must find not just safety, but the most precious resource of all: water. 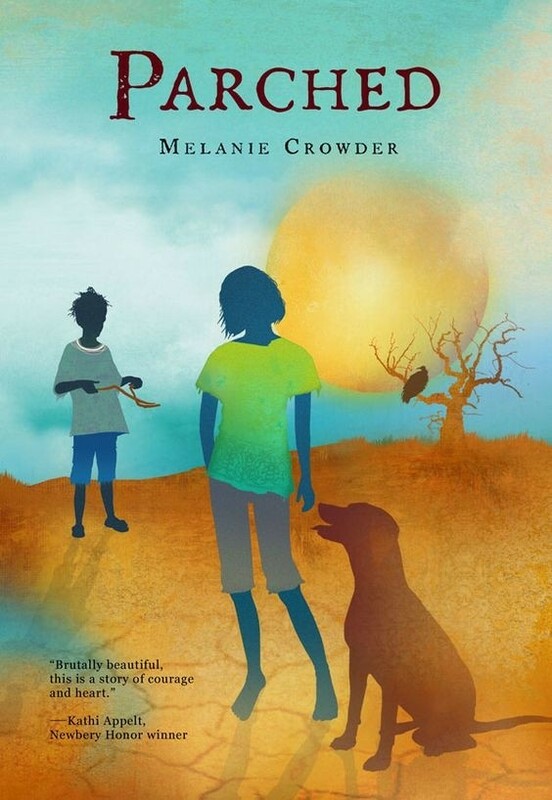 This lyrical survival story is told from the perspectives of all three, and readers will be particularly moved by Nandi's love and loyalty to her Sarel-girl. 12-year-old Willow is the daughter of an Anglo father and an Athabascan mother. She dreams of blending in, rather than standing out, but she also wants to start taking on adult privileges like mushing the dogs to her grandparents' house on her own, with her beloved Roxy as the lead dog. Even a small mistake can serious, even dangerous, consequences in the wilderness, though — something Willow learns all too well when Roxy is blinded in an accident. To save Roxy from being euthanized, Willow sets out to Grandma and Grandpa's with her, and ends up caught in a blizzard. But with Roxy by her side — and the spirits that protect her family nearby — Willow will understand both her family and her own place in the world a bit better. 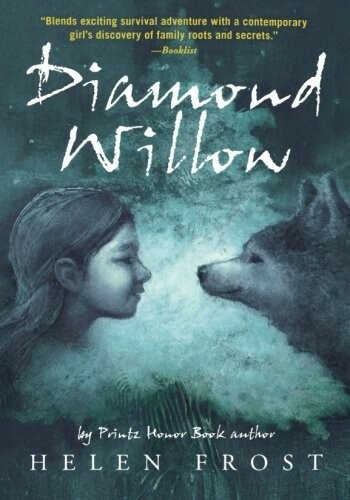 Innovative storytelling makes this novel in verse a complex, multifaceted read, but the heart of the story is the relationship between Willow and Roxy. For more books about the power of a relationship with pets of all varieties, visit our Pet Collection. For books about Mighty Girl and animals, and stories starring Mighty Girl animals, visit our Animals & Nature section.